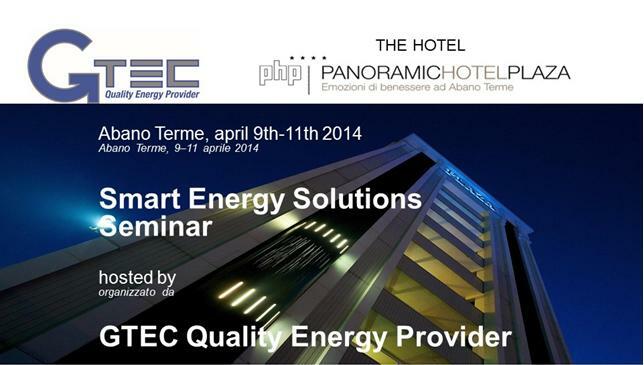 On April 9th, 2014 Gtec Europe held an international business meeting at the Plaza Hotel in Abano Terme (PD), Italy, to officially launch its new series of products: the NS3000 and the modular UPS solution MUST 400. The meeting lasted 3 days. It included presentations, workshops, and FAQ sessions and was attended by about 50 Gtec partners and friends coming from 25 different EMEA countries. Th enew NS3000 threephase UPS is designed for medium and large power IT systems and for applications in critial environments. Its performances are the best ones of its category: electronic boards are tropicalized and can be equipped with dust filters; the electronic core of the system is isolated in a drawer, thus to allow a reduced MTTR and easy replacement in case of failure. MUST400 modular UPS is the Gtec key series for modular solutions and is designed for larger IT systems. It includes standard 19″ 20kVA threephase hot swap modules, which are housed in the cabinet. These modules work in parallel, equally sharing the load which is supplied. In case of failure of one module, the faulty modules automatically exclude without interrupting the power supply. The digital control panel has DSP (Digital Signal Processor). The efficiency is very high – more than 95% – and the modular design allows optimal dimensioning and scalability, keeping the UPS always in its best efficiency range. Each cabinet can hold up to 10 modules for a total of 200kVA. Two cabinets can work in parallel to reach 400kVA power. Find out more about threephase UPS.